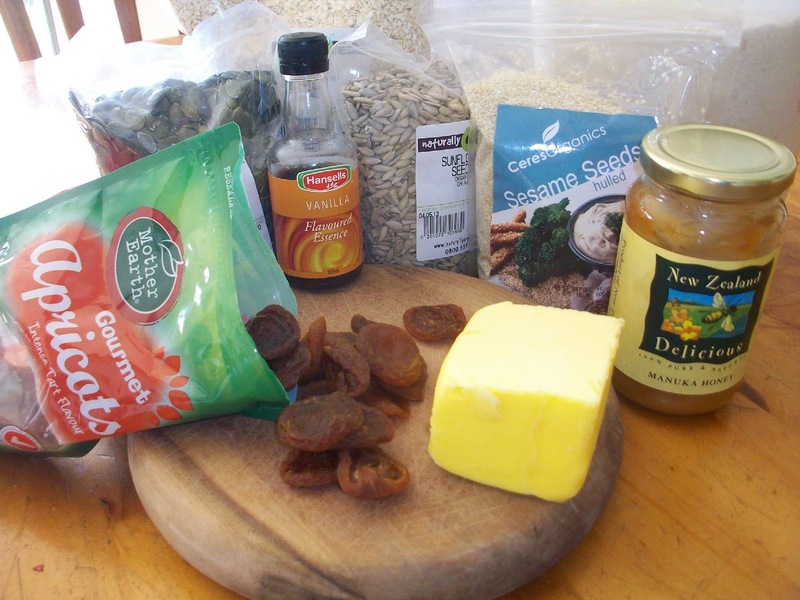 day 334 and we are needing some wholesome goodies to fill us up after all the winter sports we have on at the moment. 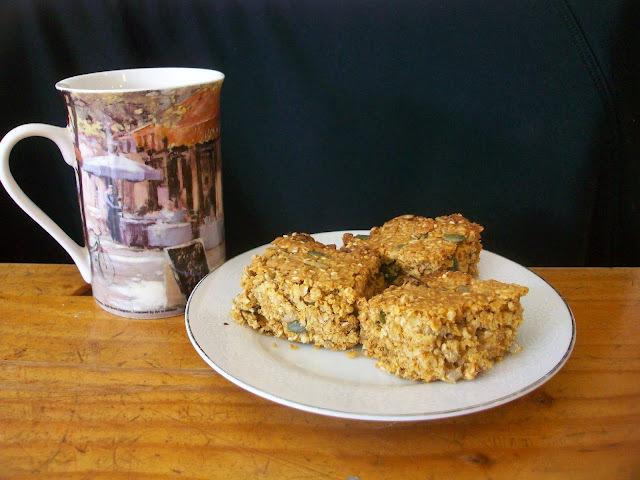 i was keen to try another muesli/granola bar recipe as the other ones i have used from pinterest all have peanut butter and i figured a different tasting one would be nice to add to the mix. this recipe from kitchen stewardship fitted the bill and i was keen to see if the family would enjoy it as much as the other recipes for muesli bars i have tried. this recipe can also be found on my recipe must do's board on pinterest. the recipe relies on butter and honey to bind it together rather than peanut butter. 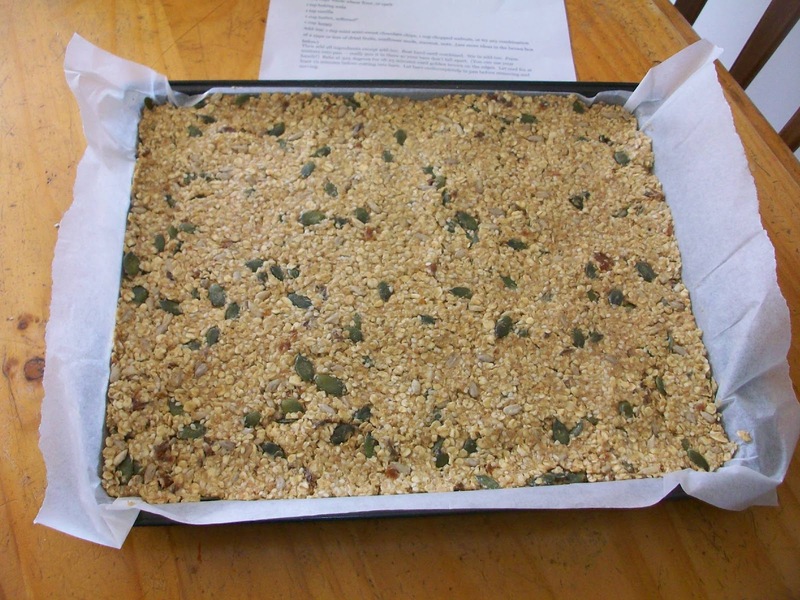 the other nice thing about this recipe is the flexibility it allows with regards to what you can throw in ... i chose sesame seeds, pumpkin seeds, sunflower seeds, and apricots. outcome: not sure, the texture is really heavy. it is possible i should have put it in a larger tin but i think also i am not used to a granola bar with so many oats in it (there are 4 1/2 cups in the recipe!). i think i also missed a bit of sweetness and probably needed to put more dried fruit in or added some chocolate chunks ;) i am thinking it perhaps isn't the recipe that is wrong but the way i interpreted it, so i am determined to make it again but with a few modifications. 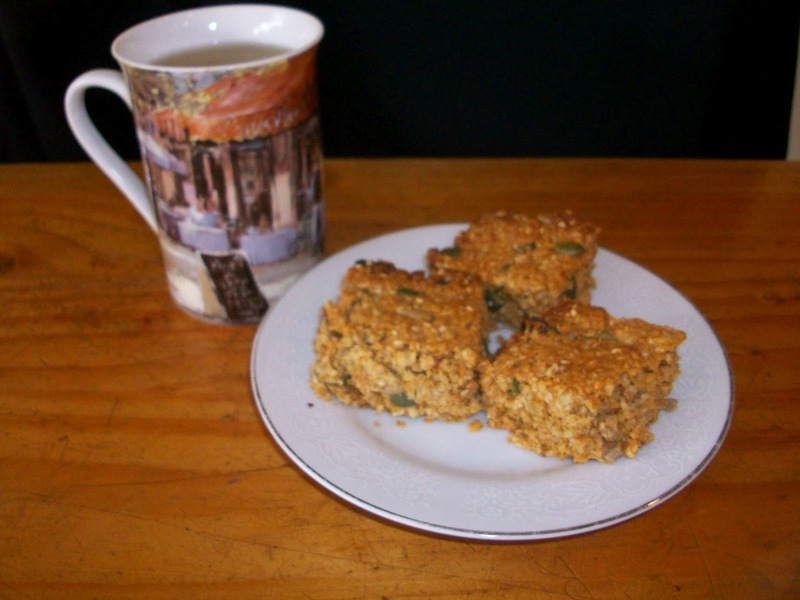 my thanks to kitchen stewardship for this peanut butterless recipe for granola bars. the peeps have lots of friends who have nut allergies so i am always after nut free recipes and am determined to get this one right! 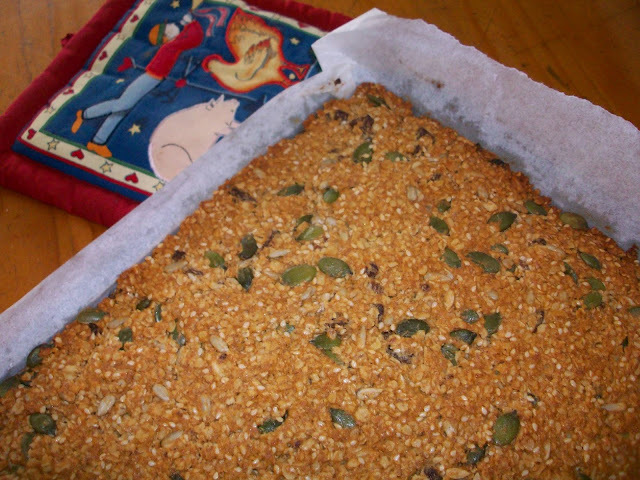 Looks all good wholesome stuff, love granola bars but they always come out snappy and chewy when I've made them!! !